Moving to CVICU | Half Heart. Whole Life. 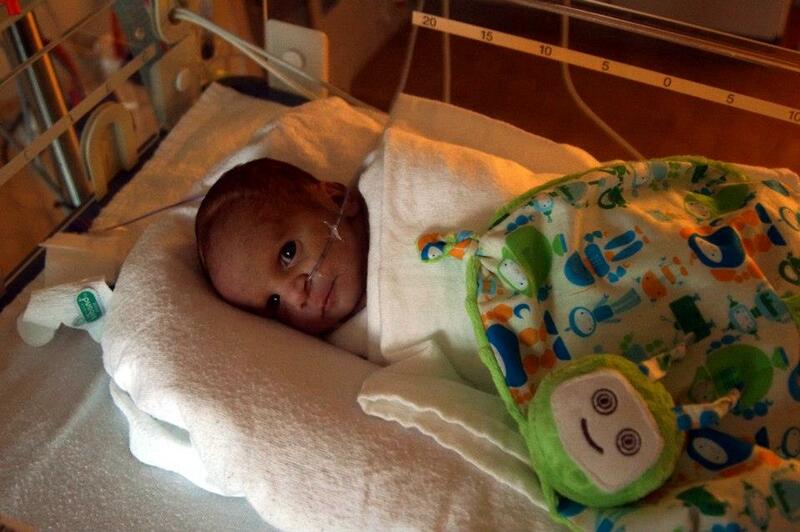 On December 16th, at 6 days old, Nolan was finally broken out of NICU for good. He was on his way up to the Cardiovascular Intensive Care Unit (CVICU) for some observation and so the team can get ready for him post-surgery. As we inched ever closer to surgery day, things felt incredibly tense, and I was just trying to keep my faith up and be strong. We got to CVICU about mid-day and it was an opportunity to see Nolan without that stupid bili light mask on, though they said he’d need to continue to light treatment as soon as they settled him in, which sucked. A nurse was getting him situated in this huge room and eventually a Nurse Practitioner named Lindsay came in. She noticed I was wearing a shirt from church and noted she went to the same church but a different campus. That was cool and helped cool things down a bit. Meanwhile, Nolan was just being SUPER fussy. My wife and I felt like he was just miserable with the mask on and wanted to be held. Finally Lindsay just picked Nolan up in her arms and gently rocked him back and forth. It’s funny: I can close my eyes and picture this part so vividly and I don’t know why. Maybe because it was so unexpected? I don’t know. 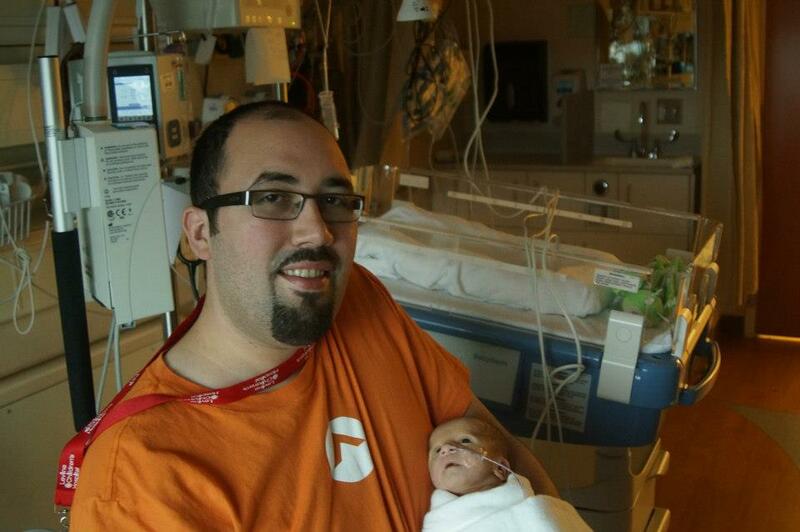 I just think it was awesome to see this complete stranger show complete human care for our son. And you know what? He calmed down. So Lindsay said no more bili light…he’d had enough and was fine enough to be with his parents for the day. And she was instantly my hero. They got Nolan all snuggled up in bed to rest for a bit, then brought in a couple chairs to sit in when we decided to hold him. And that was it…we waited. At 6am the following morning they would come for our one-week old and whisk him away to some of the most serious surgery possible. In the meantime, though, I definitely wanted to take advantage of my time with him, so Bekah and I took turns holding him…all night. Posted on November 2, 2013, in CVICU and tagged CHD, congenital heart defect, CVICU, heart surgery, HLHS, hospital, hypoplastic left heart syndrome, NICU, nurse, nurse practitioner. Bookmark the permalink. Leave a comment.